Italian Meringue Buttercream is by far my favorite cake frosting. This is the exact recipe I used for 10 years in my wedding cake business. Meringue buttercream has the perfect balance of rich flavor from the butter, and lightness from the meringue. It’s not overly sweet and it can be flavored with an endless variety of add-ins. It’s strong enough to pipe buttercream roses and stays soft at room temperature so it melts in your mouth. This is a fairly standard Italian Meringue Buttercream recipe except for the temperature of the sugar syrup. I’ve seen a lot of recipes that have you boil the syrup well into the firm ball stage (248°F), but I find this makes a buttercream with a texture that is too tight and marshmallow-y. I like to boil the syrup to the softball stage (235°-240°F) for a slightly softer buttercream, and I think it whips up a little lighter. Also, don’t forget that even when you take the pan of syrup off the heat the temperature will continue to rise. Waiting until 248° might mean your syrup is over 250° by the time you begin pouring it into the egg whites. What’s the difference between soft ball and firm ball syrup? It’s the amount of water in the syrup. 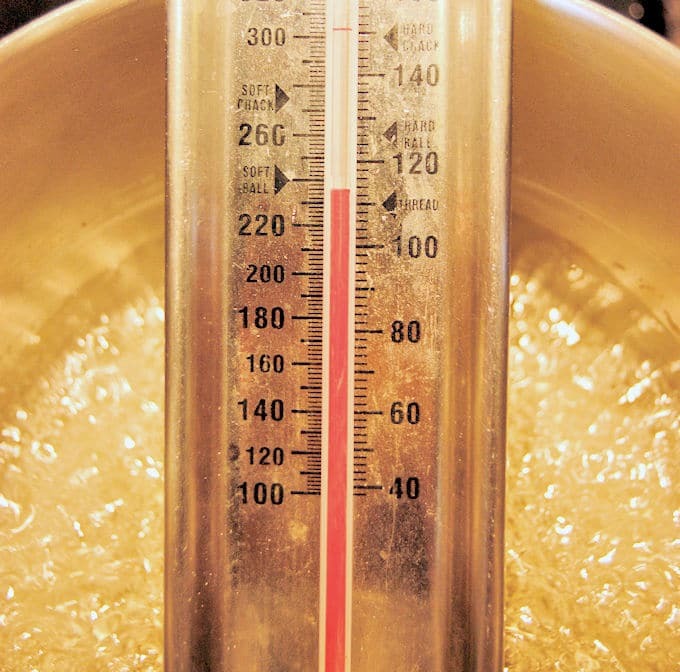 The higher the temperature of the syrup, the less water there is relative to sugar. So using a soft ball syrup means there’s a little more water in the buttercream. But Italian Meringue Buttercream can take quite a bit of liquid without breaking down. I often add rum, limoncello and other liquid flavoring to the buttercream with no adverse effect on the texture. Don’t worry… Your Italian Meringue Buttercream is probably not curdled! The scariest moment for those who’ve never made a meringue based buttercream is when the butter goes in. The whole thing kind of breaks down and then comes back together. It might sound scary and complicated, but it’s really not. There’s a lot of leeway with the temperatures and the buttercream will almost always come together. 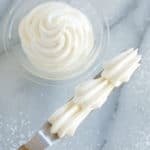 If your working in a warm kitchen and your buttercream is just a little too soft you can refrigerate it briefly and then re-whip it until it’s light and fluffy. If your buttercream is just a little too cold, my kitchen is fairly cool in the winter and I often have this problem, you can warm the bowl and then whip it until it’s light and fluffy. I use a propane torch to warm up the buttercream, which is fun, but you can use a bowl of warm water as shown in the photo below. If you do have a propane torch and want to use it, here’s what you do; with the mixer running, wave the torch back and forth across the outside surface of the bowl to warm the buttercream. Keep it moving at all times to avoid burning the buttercream. You’ll see the edges melt a bit and then mix in. This works fast, so be careful. 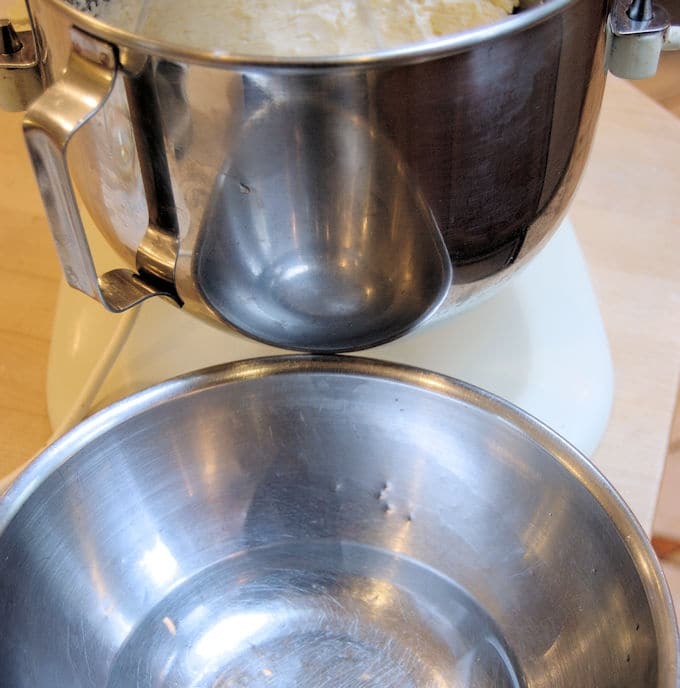 To warm the buttercream, slip a bowl of warm water under the mixer bowl while the mixer is running. I’ve only come across two unfixable problems with this buttercream. If the meringue and/or the butter are way too warm when they’re combined the buttercream will break down and can’t be rescued. Don’t worry if it looks just a little curdled, that’s OK. But if the buttercream becomes soupy and grainy the meringue has broken down and the buttercream can’t be fixed. If the butter is too cold when it’s added to the cooled meringue you’ll end up with lumps of butter that can’t be whipped out. Make sure the butter is soft and pliable, but not at all greasy or melted. The best temperature for the butter is about 70°F. 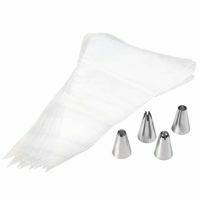 Any extra buttercream can be double-wrapped in plastic (so it doesn’t pick up any off flavors) and frozen for a few weeks. Bring it back to room temperature and then re-whip. The only limit to the flavors you can make with this buttercream is your imagination. You can add melted chocolate, lemon curd and/or lemon extract, orange zest, raspberry puree, instant coffee, whatever you can think of to create your favorite buttercream flavor. Melt in your mouth texture, but firm enough to pipe, Italian Meringue buttercream is a great all-purpose frosting. Watch the recipe video to see how-to make Italian Meringue Buttercream from start to finish. Light, fluffy and not too sweet, Italian Meringue Buttercream is a dream to work with. It takes on almost any flavor and is strong enough to pipe roses and other decorations. Combine the water with 3/4 cup granulated sugar in a small saucepan. Cook the sugar syrup on medium high heat, stirring until the sugar is melted. Once the syrup begins to boil do not stir the syrup. Allow it to cook to 235°-240°F (soft ball stage). While the syrup is boiling, whip the whites on medium high speed. When the whites are at soft peak reduce the mixer to medium low and slowly add the remaining 1/4 cup of sugar and a pinch of salt. Increase the speed to medium high and whip to full peak. As soon as the syrup is at the correct temperature, remove the pan from the heat. With the mixer running on medium low, pour the hot syrup in a steady stream between the edge of the bowl and the whisk. Increase the speed to medium high and continue whisking until the whites are cooled to about 80°F. When the whites have cooled, with the mixer running on medium, add the butter one piece at a time. Add the vanilla and increase the speed to medium high and whip until the buttercream comes together. Note 1: I always use fresh egg whites. If you use pasteurized egg whites from a carton make sure the package says they can be used for meringue. Some markets sell pasteurized eggs still in the shell, those can also be used for this recipe. 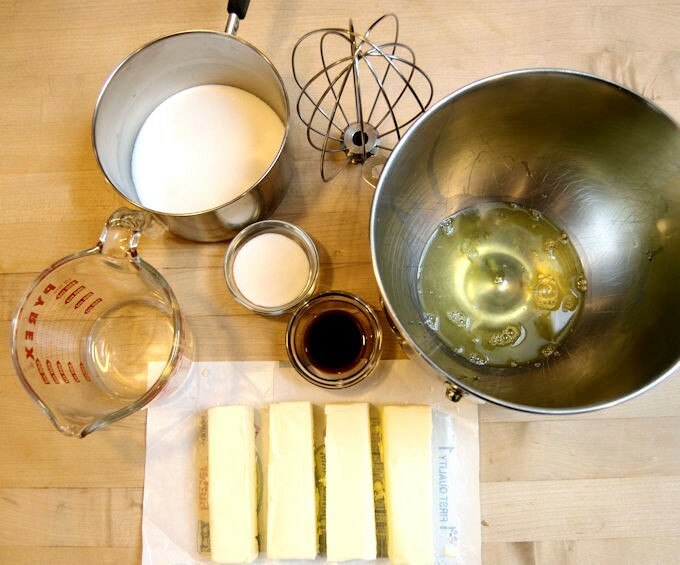 If the buttercream becomes "spongy" while standing re-whisk to correct the texture. The buttercream can be refrigerated 3-4 days or frozen for several weeks. Return to room temperature and re-whisk before using. Thank you so, so much for posting this recipe with such clear instructions! I made it today for a celebration, & it was the first time ever that I was able to make a successful buttercream that I was proud to share with others. Thanks Victoria! I’m so glad it worked well for you. It’s my absolute favorite buttercream!! Thank you so much for the detailed instructions! I’m attempting this for my daughters birthday cake. Do you ever weigh your eggs? If so, could you provide your weight measurement? I prefer to use weights, plus I’m using a carton of egg whites, so it’s easier. Thank you! Hi Erica. I do weigh my eggs when working in my professional kitchen. A large egg white weighs slightly more than an ounce. I would use just over 5 ounces of egg whites. 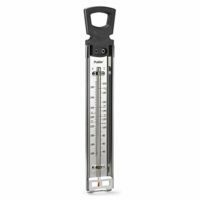 Depending on the type of scale you use and how exact it measures, I would use between 5.25 and 5.5 ounces. You could go up to 6 ounces and the recipe will still work. The only caution with carton egg whites is to be sure they can be used for a meringue. I’ve found that some ultra-pasteurized egg whites don’t whip very well. Hope you daughter enjoys her cake! Thank you so much for your help Eileen! My icing turned out absolutely perfect, and the cake was beautiful. You were right about the egg whites: the ones in the carton didn’t work so I switched to real eggs. Lesson learned! I’d like to ask you one more question for next time I do this icing, if you don’t mind: I felt like the final product could have been a little sweeter. Is there a point at which more sugar could be added to this recipe to get a sweeter icing? I dislike American buttercream mainly because it’s too sweet, but I’d like to find a happy medium. Thank you for your time, I really appreciate it! Oh, I’m so glad Erica! If you’re on Instagram I would love if you’d post a photo of the cake and tag me eileen.bakingsense. I have tried twice now to make Italian buttercream and the issue I have is that my bowl never ever cools down after I add the syrup. I even tried an ice bath. So by the time it is maybe cool (still feels warm), my butter is not rt anymore and i have over whipped my egg whites. i want to avoid this issue before I even try your recipe. Help! Hi Eileen. I’d love to make this chocolate. Does cocoa work better, or melted chocolate? About how much? And would I then increase the sugar? Thanks. This looks like the buttercream I’ve been waiting for. Hi Jody! I make a chocolate version of this all the time. No need to make any changes to the basic recipe. Melted chocolate is best. You can do it to taste, but I would start with about 4 oz of melted semi or bittersweet chocolate. After you’re done making the buttercream according to the recipe you can add in the melted chocolate with the mixer running (make sure the chocolate has cooled, you don’t want to melt the butter). The color will look pale but the flavor will be chocolatey. Have you ever tried adding pb2 to this icing to give it a peanut butter flavor? Hi Laurie, Yes I’ve made peanut butter icing using this recipe. After you finish mixing the entire recipe add peanut butter to taste. It’s really delicious with chocolate cake! I’m thinking about making the peanut butter icing with the Chocolate Chip Cookie Cake on your website. What do you think? I think, Yum! You could also add a little peanut butter to the ganache for more peanut butter flavor. Hi there! 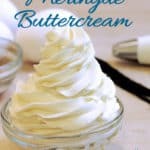 I’m trying to make a champagne buttercream using the Italian meringue method, and can’t seem to find a recipe anywhere that isn’t an American buttercream. Would I be able to use champagne in the syrup in place of water without it changing overall? I know you said you use rum and limoncello, but just wanted to double check. Thanks! Hi Danae! When I use rum or limoncello to flavor the buttercream I just add it to the finished buttercream. Because those liquors have a strong flavor a couple of tablespoons will flavor the buttercream enough. Since champagne has a lighter flavor you’ll probably need a little more to get the flavor you’d like. I think your idea of using it in place of water is a good one. Try that and then maybe also add some after the buttercream is finished. Be careful not to add too much to the finished buttercream or it might break the buttercream. Please let me know how it works out. I’m very intrigued by this idea. Also, if you want good champagne flavor in whatever cake you’re making, make a champagne syrup and sprinkle on the cake layers. See my Vanilla Layer Cake post to see how I use rum syrup for flavoring vanilla cake and my Simple Syrup post about making the syrup. Try making the simple syrup with champagne instead of water. Can’t wait to hear how it turns out. This looks so incredible. I wish I enjoyed baking at all… Although reading your blog has started to inspire me. I feel like I’m baking vicariously through you. This is my favorite type of frosting and I rarely see it on cakes anymore. My boyfriend is diabetic, so I try not to use sugar in anything. Have you ever tried this with a sugar substitute? Hi Nicole, Unfortunately I don’t have much experience using sugar substitutes. I’ve used Stevia a few times in baking experiments and it does work very differently than sugar. But this type of buttercream is definitely less sugary than the American style buttercream. What a rich looking dessert, I would love to try it. I didn’t know it was that simple to make, thanks for sharing! I have never even heard of Italian Meringue Buttercream until today, and now I cannot wait to make a cake so I can try it!! I am hosting my sisters baby shower in July so I am bookmarking this one now! 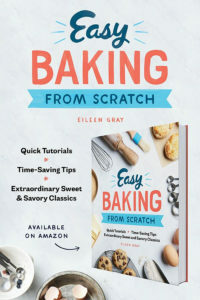 I’ve tried other buttercream recipes and they weren’t great. Your instructions are wonderful, lots of tips, and thats good to know about the carton egg whites as I was considering trying them before I came across your post. Hi Tara. 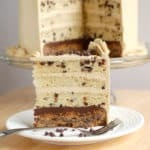 This recipe will yield enough buttercream to fill and frost an 8″ layer cake. Hi! When you make flowers with IMBC do they get firm ever or do they stay soft? I’ve always made mine with American buttercream but love the smooth glossy look of the IMBC. Hi Samantha, The flowers will get firm if you refrigerate the cake and will soften at room temperature. But even when they’re soft they’ll hold their shape at normal room temperature. Yes, if it’s a little loose you can chill it and bring it back. Hello, can I use salted butter instead of the unsalted? Hi Heather. Salted butter won’t change the texture of the buttercream, but it will change the taste. I prefer unsalted butter, but I know some folks who like that little bit of salt in the flavor. If you prefer the salted flavor, it should be fine to use salted butter. Is it possible to make the IMB frosting raspberry flavored? Should fresh berries, cooked berries, or jam be used? Or possibly make a raspberry sugar syrup? And what quantity of raspberries/jam would you suggest? Thanks, looking forward to using this recipe! Hi Ann. I’ve made raspberry buttercream with IMB many times. I use raspberry puree for the best, fresh-raspberry flavor. I find that raspberry preserves don’t have a bright enough flavor. The easiest way, I think, to make raspberry puree is to buy frozen raspberries. Let them defrost then puree and strain out the seeds. The amount will be to taste. I would start with about 1/4 cup then taste. Also, a little squeeze of fresh lemon juice will heighten the raspberry flavor. Thanks for visiting the blog! I tried this recipe and it turned out fantastic! I definitely got praise for the buttercream 🙂 I do have one question, however. When I poured the softball stage syrup into the egg whites, it took a very long time for it to cool down to 80 degrees fahrenheit. When perhaps 15 or more minutes passed (with the mixer on) it still hadn’t cooled all the way. I had to stick the bowl in the fridge for a bit. The final result was still tasty, and no one seemed to notice (they all thought it was great) but I couldn’t help but feel it was over whipped due to waiting for it to cool before adding the butter. How long does it take your syrup/egg mixture to cool to 80, before you add the butter? Hi Rudy. How long it takes to cool will depend on the room temp and the temp of the whites when the syrup goes in. I have found that in a warm kitchen it can take a while for it to cool down. 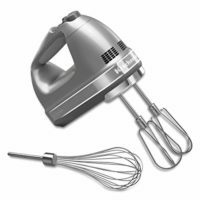 Did you use a stand mixer or a hand mixer? Once the sugar and sugar syrup are added to the whites it’s pretty hard to over whip them. If you whip them at a steady, medium-high speed you shouldn’t have a problem. You can also try putting a bowl of cool water under the mixer bowl to help it along (like I did with warm water in one of the the photos above). There is a little bit of a cheat if you’re willing to try it. Sometimes, when I’m impatient, I keep my butter a little cooler than normal (maybe 65 degrees F) and put it in when the egg whites are still a little warm. I don’t mean that the butter is out of the refrigerator cold, but that it is still fairly cool in the center. Quickly throwing the cool butter into the slightly warm whites will cool down the whites and at the same time the slightly warmer whites will warm up the butter. I will admit that this trick does take a bit of experience with meringue buttercream and knowing how far you can push the temperature limits. If you’re willing to experiment you can give it a try in when your kitchen is on the warm side. Can you ice cupcakes with the recipe the night before serving or do you have to make the icing on the day? Hi Mandy, Italian Meringue Buttercream can definitely be made ahead. You can make it and ice cupcakes the day before, or make the buttercream ahead of time and ice whenever you’re ready. The prepared buttercream can be kept at room temperature for a couple of days. If it becomes stiff (which always happens to me in the cold weather months) just put it back on the mixer and whip it up a bit. Hi Gina, Yes, you can cook the sugar without a thermometer (you can buy them on-line too). You can test the temperature of the sugar syrup with the ice water test. The sugar is cooked the to “softball stage” for this recipe. The name comes from the fact that if you drop a spoonful of the syrup into ice water it will form a ball that barely holds its shape and can be easily squeezed – a “soft ball”. To do the test have a container of ice water next to the stove while the sugar cooks. After the sugar is boiling for a few minutes, dip a small spoon into the pot and scoop out a little of the syrup. Dip the spoon into the ice and hold it there a few seconds until it’s cold. Use your fingers to try and scoop the sugar off the spoon. If the syrup won’t clump together and drizzles into strings it’s at the “thread stage” because it forms threads but not a clump. If you can form the sugar into ball that barely holds it’s shape, that is the “soft ball” stage. If it form a ball that firmly holds it’s shape that’s the “firm ball” stage, meaning the sugar has been cooked too long. You can add a few drops of water and test the sugar again if you boil it too long. I made this today it tasted delicious! I did find mine came out quite marshmallow like and when I was trying to ice a cake there were lots of air bubbles and I couldn’t get a really smooth finish, any tips? Hi Geraldine – sometimes IMB will get spongy if it’s been sitting. You can whisk it a bit by hand before icing the cake to get rid of some of those bubbles. Also, As you’re smoothing the cake wipe the spatula clean with a damp cloth to create a really smooth surface. You can watch this video to see how I ice a cake. This frosting is fantastic! I’m making a cake for my neighbour’s daughter’s birthday and she wanted something not too sweet. This is perfect and I’m not sure I’ll ever make American buttercream again! 😉 One question, I have to frost a 10″ cake and do some piping as well. One batch barely crumbcoated the cake so I think I’ll need 2 more. Can I double this recipe or should I do the batches separately? Hi Meagan. I’m so glad you like the IMB, it’s the only buttercream I use. 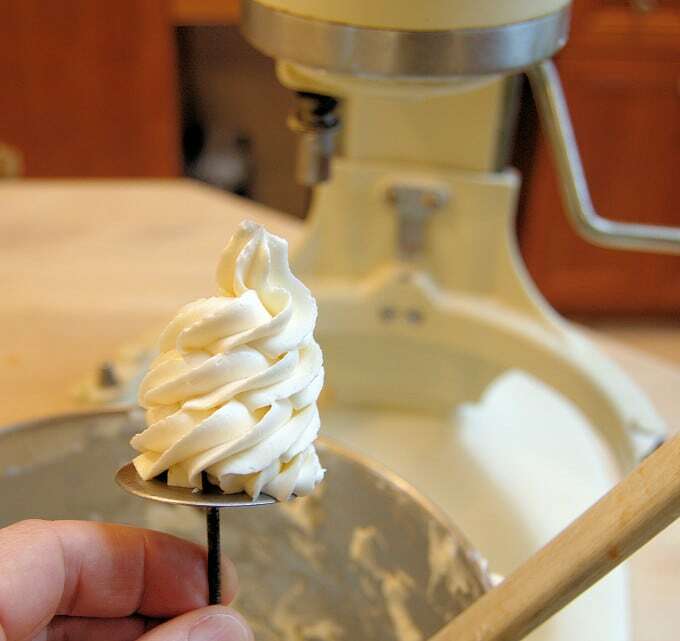 You can easily double the batch as long as your mixer has the capacity to hold the meringue. I’ve done double batches in my 5 quart and 6 quart Kitchen Aid mixers. Can you be more specific? Does the buttercream break down when you add the butter? 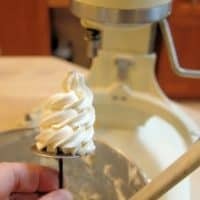 Does the meringue whip up properly? once im whipping the meringue and add the water and sugar mix which i get to a 240 degree , im still whipping the meringue on med high speed, i slowly add in the mixture while on high speed and it begans to get soupy instead of a peak, then once the butter is added its even more soupy. Hi Sharita. Are you using fresh egg whites or carton egg whites? 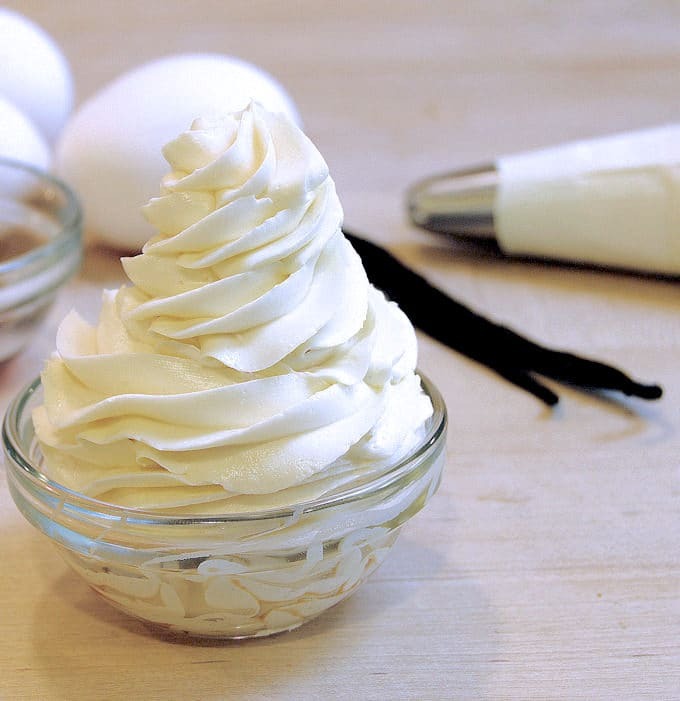 Many brands of pasteurized egg whites are not good for meringue and will not whip up properly. I’m wondering if this recipe can be made using meringue powder instead of egg whites. Do you have any experience with that? I don’t really work with meringue powder so I can’t say for sure. You do need a good meringue for successful IMB. I have tried using pasteurized egg whites and they don’t whip up properly and don’t work for this recipe. Hi Eileen, thank you for this recipe. Are the fresh eggs that you use, pasteurized fresh eggs? Any other options? I am also concerned in regards to storing this frosting at room temperature. Does it pose a risk for salmonella? Thanks for our reply. Hi Candace! I use fresh egg whites from normal (unpasteurized) eggs. In 30 years I’ve never had a problem with salmonella from IMB. I have taken the temperature of the whites right after adding the sugar syrup and found that is goes over 160F, the temp to kill salmonella. Remember, if you start with room temperature egg whites (not cold from the fridge) and you add a syrup that is 240F in a fairly quick stream this brings the temperature of the whites up pretty fast. According to scienceofcooking.com salmonella is killed instantly at 160F and even at lower temperatures after a few seconds. That being said, if you’re worried or you are serving to someone elderly or with compromised immune system you can use whites from pasteurized eggs if you can find them in your store. You can also use pasteurized egg whites from a carton. Just make sure the carton says the whites can be used for making meringues. I have found that some pasteurized whites don’t whip up properly. I do store my IMB at room temperature for a couple of days at a time. There is a very low water content and high sugar content in the buttercream, which makes it less likely to grow bacteria. If I’m holding more than a day or two I refrigerate or freeze the buttercream. Hi Eileen! Thank you for this recipe. Is there a way to prepare IMBC without it tasting as if you’re swallowing mouthfuls of butter? I love the way it spreads and that it is less sweeter than American buttercream, however I get a lot of complaints regarding the butter ‘feeling.’ It’s the only thing preventing me from using it. I use lots and lots of Vanilla extract but that doesn’t seem to work. Can it be prepare with less butter or perhaps another variation? I was thinking only 3 sticks of butter and perhaps more meringue or adding whipping cream? I really want this to be my ‘go to buttercream’ as well. Please help! Hi Kay – Well, I haven’t tried anything to make IMB less buttery because I like it as it is. I do know some bakers who’ve added a little confectioner’s sugar to sweeten it up. I think you’d have to experiment with using less butter. But, in the end, what makes IMB so nice to spread is the specific texture, and that texture comes from the butter and the meringue. Sorry I don’t have a better answer. You can look for other types of buttercream. Maybe a German Buttercream would be better for you? German Buttercream has custard as a part of the recipe (I may put that on my list for a future post) which mitigates the butteryness. Another possibility is Ermine Icing – which has a base of milk & flour. Thank you Eileen. I have an event coming up next month, so I have time to experiment as you suggested. Love the idea of German Buttercream. Would love to see your recipe for it in a future post! First attempt at IM Buttercream was a complete fail. Definitely added the butter too soon, which resulted in a runny buttery mess. Also used carton egg whites, which didn’t whip up nicely at all. Decided to give it another try about 2 weeks ago for a cake. Used fresh egg whites this time, whipped up great. Added the sugar/water mixture, everything was going perfectly. However…maybe like 10 minutes of whipping the meringue, it cooled, but the bottom of the stand mixer bowl was still fairly warm to the touch. Unsure if over-whipping would ruin the meringue, I added the butter and kept whipping. This time it wasn’t a complete pool of butter and sugar, but it for sure was still too loose. So, I kept the mixer going and rubbed ice on the bowl and it actually came together. I put it in the fridge… thinking, “I’ll just rewhip it in a half hour or so when I need it”…, but when I took it out, I ran my spatula through it and it had an odd texture. It looked like it was separating, and was watery. Scrapped it, and had to make American Buttercream. Any tips? 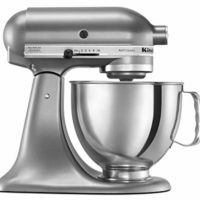 Can I do the rubbing of ice cubes on the side of the mixer technique to cool the bowl and meringue, before adding the butter? Or should I just let the mixture keep running until the bowl cools? Is 15-20 minutes too long?? Hi Matthew – If you try to mix or whip the buttercream while it’s still cold from the refrigerator it will separate. You need to wait for it to come up to room temperature before you re-whip it. Even if it separates like that you can still save it. With the mixer running warm the bowl, either with a blow torch or a small bowl of hot water under the mixer bowl. It will take a few minutes, but it will come back together. I have even held the mixer bowl high above a low flame on my stove while whisking it by hand to warm it just a bit. Sounds like you did everything right and your buttercream would have worked. Next time just wait for it to soften up before you mix it. As far as the bottom of the bowl still being warm, I’ve found that just touching the bowl doesn’t always indicate exactly the temperature of the meringue. Try turning off the mixer and sticking your finger into the meringue. You might be surprised to find that it’s cooler than the bowl is. IM buttercream is much more forgiving than folks realize. I think many people end up scraping batches that can be saved. Good luck! Hi Eileen! I tried this recipe for my lemon cake using less butter and it came out so well. I added lemon zest and flavoring to the frosting and was so surprised at the compliments. I have a question though, can I add rum flavoring to IMBC? If so, does it matter what kind of rum? 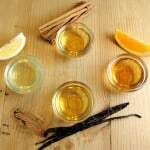 I have white rum but noticed that you used dark rum in your recipes. Also, can the rum be used in the cake batter as well? Is 2 TB the ideal amount to use for both frosting and batter and can the rum be used with lemon flavoring? Lastly, why can IMBC be left out at room temperature? I was thinking it should be refrigerated because of the egg content, yet my cake has sat out with no problems. Thank you for your patience in answering all of my qurstions! Hi Kay, I’m glad your cake was a hit! I use plenty of rum in my cakes. Yes, you can certainly add a little to IMB, start with a tablespoon or two than adjust to your taste. I prefer the flavor of dark rum to light rum. Instead of baking it into the cake I like to put it in the syrup that I sprinkle on the cake. That way the flavor comes through. But you could add a tablespoon or so to the batter (vanilla is alcohol based). With lemon cake I like to use Limoncello. It’s wonderful on the cake and in the buttercream. IMB can be left at room temperature because the egg whites are “cooked” by the hot syrup. IMB is relatively high in sugar content and low in water content, which makes it an unfriendly environment for bacteria. I’ve left IMB at room temperature for a few days with no problem. I think more than a couple of days and the flavor might start to go off. Off to buy dark rum and Limoncello! Thank you Eileen for your help and a wealth of information! 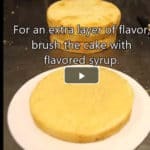 I was excited to find such detailed clear information & instructions for this recipe, but really wanted to see the video that it lists above to watch; however, there is no link I could find anywhere on the page to view the video. Hi Karen, I’m sorry for the confusion. I’m in the middle of making a change to how the videos display. Right now the recipe video is at the top of the post. If you’re working on a desktop the video should “follow” as you read. If you’re working on mobile, go to the top of the post and you should see the video. I apologize for any inconvenience. what about adding cream of tartar to the egg whites? I never do, but you certainly can if you’d like to. Hmmm, I’ve never tried this, but I’m intrigued by the idea. My first thought would be to replace some of the butter with cream cheese. Maybe half and half? That’s the ratio I use for my regular Cream Cheese Frosting. Also, a little squeeze of lemon juice will enhance the cream cheese flavor. If you try it, please let me know how it works. I might give it a try myself. Hi. Is it ok if I add food colouring because I want to make it red. Will it be red or just pink if I add the colour? Yes, you can add food coloring to this buttercream. I recommend gel color rather than the liquid color since it’s more concentrated. I like Americolorgel colors. Red is a little difficult. You’ll have to use a good amount of gel color. Whisk it in very briskly and you’ll end up with a dark pink color. Set it aside for at least a half an hour, an hour or more is even better. Go back and whisk it again and the color should deepen. It takes some time for the color to darken to a true red. I’ve made other Italian meringue buttercreams before and have loved them. Unfortunately, I lost my recipe! I’m hoping to make this one tomorrow and I need a lot of it for a HUGE cake. I’m wondering whether a double batch would fit in my 5 quart KitchenAid mixing bowl. Do you know if it’ll fit or should I stick with a single batch? I know the meringue can really puff up! Hi Laura, you can fit a double batch in a 5 quart KA. If you watch the video you can see how full the bowl is when the meringue it whipped. A double batch will fill the bowl, but it’s doable. You were definitely right, a double batch did fit in my mixer but holy moly did it take forever to cool down. Probably just because there was a larger volume of hot meringue. Thanks again for your help! Delicious recipe! Yes, a larger batch will take a while to cool down. Glad you liked it. 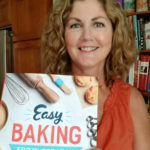 Hello Eileen, thank you for the fantastic & detailed instructions – I’m really looking forward to trying this recipe! 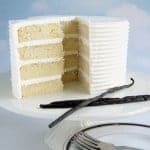 Just one question regarding vanilla – I need a whiter frosting for a cake I’m making and while I MUCH prefer pure vanilla or (vanilla bean paste) I’m wondering if it will make the frosting tinted to a more ivory color than using clear vanilla. Your thoughts? If I use a clear, imitation vanilla (like Watkins clear vanilla flavor), will it really degrade the flavor of this frosting? Thank you for your help! Honestly, Gina, I don’t think the vanilla makes a huge difference in the color of the frosting. Because there is so much butter, even without the vanilla the frosting is off-white, not pure white. I generally find that the frosting seems white unless it’s right next to some that is pure white, like fondant. If you want a pure white frosting you’ll have to use shortening instead of butter. I haven’t tried making IMB with shortening. Most folks that want a very, very white icing make an American buttercream using shortening. Appreciate the quick response, Eileen! I’ll give it a whirl and see what happens. Thank you! Hi there, I made the buttercream and then put it in the ridge overnight. Can I still use it to pipe flowers? Can I just let it naturally get to room temp overnight on counter before re-mixing and adding gel color? I took a little out and added color and tried to mix it cold and that def didn’t work! The color became very liquidy and the texture stayed clumpy! Hi Holly, Yes you can certainly refrigerate or freeze Italian Meringue Buttercream. You need to get it back to room temperature and then re-whip it. If you try to whip it while it’s still cold it will separate and release liquid. But even it that happens it is salvageable. Put a bowl of warm water under the mixing bowl and whip it until it comes back together. Then continue to whip it until it gets light and fluffy. As you whip it the mix will swirl around the bowl because of the loose water. Just keep whipping slowly and have patience until it comes back together. The texture of the buttercream will depend quite a bit on the temperature. Chilling for just a few minutes and re-whipping will firm it up a bit. Unless the buttercream is very warm, it should be firm enough to pipe roses. Thank you for this recipe! I made this buttercream but found it not sweet enough. Is there a way to sweeten it after it has all been made? Maybe adding more sugar syrup? IMB is less sweet than American Buttercream but I prefer it for that reason. Adding more sugar syrup would make the buttercream too loose. You can try adding some powdered sugar to the finished buttercream to make it sweeter. Just do it gradually in case it starts to change the texture too much. If you read back through the comments you’ll see that a reader used less butter in her IMB and was happy with the results. I made your Velvety Soft White Cake and IMB and it was absolutely delicious. I was wondering however, if you could double the recipe for IMB in one batch or if it would be better to do two separate ones? I’m making a 50th Anniversary Wedding Cake and need extra frosting. Hi Tracey. You can definitely double the IMB if your mixer is big enough. I can just fit a double batch in my 5 quart stand mixer. It’s mostly that the bowl has to accommodate the whipped egg whites and it will take a little longer for the whites to cool down after the syrup is added. When I had a 20 quart mixer for my cake business I would make a 5x batch of this exact same recipe. I’m not sure where they’re from but it only happened when I use my bigger kitchen aid. Just wondering if you might know why? Do you mean the egg strings? Egg whites will often have them. My goodness me, this is the most sublime buttercream I have ever tasted, its well worth the extra effort. Brilliant instructions, thank you so much. I added two teaspoons of rosewater to make a lemon and rose cake, its just amazingly silky smooth, light, an absolute delight. Ooooh, I love the idea of adding rosewater!! Thanks for the feedback and I’m glad you like the recipe. IMB is more buttery than American buttercream, but it certainly shouldn’t be “greasy”. You can chill it briefly to firm it up. Basically, just treat it like butter. Chill to firm it up, take it out to room temperature to soften it up. Can you use less butter without it affecting the texture? Of course changing the amount of butter will change the texture. You can try to gradually reduce the amount of butter and see what is does to the texture to find the amount that doesn’t compromise the texture so much that that the buttercream becomes unworkable. Can I ask the reason for reducing the butter? Are you looking for a sweeter flavor? Cette quantité est-elle suffisante pour un gâteau de 20 (comme votre gâteau au pépite de chocolat), intérieur extérieur? I ran your question through a translator. I believe you’re asking if this recipe is enough for a cake that serves 20, both as filling and frosting. This recipe makes enough buttercream to fill and frost an 8″ or 9″ cake. I estimate about 16-20 servings for that size cake. Thank you for a very simply written and informative post. I would like to try out some Russian flower piping tips, will IMB hold it’s shape well enough ? Yes, I think it should as long as you don’t work in an extremely hot room. I haven’t specifically used the Russian tips, but I’ve piped roses and all sorts of flowers with IMB with great success. If you make a cake and use social media, please tag me so I can see it.